Dr. Brett M. Elicker was awarded the 2010 Hideyo Minagi Outstanding Teaching Award for his work with UCSF diagnostic radiology residents, but his broader goal is to teach the public about the value of early screening for lung cancer. Nearly one hundred sixty thousand people die every year in the U. S. from lung cancer — a higher number than deaths from breast, prostate, colon, and ovarian cancers combined. But regular screening with low-dose radiation CT scans can catch lung cancer early. Early detection gives patients more time to consider treatments, offers more time for those treatments to work, and leads to a much greater chance of surviving ten years or more. CT lung screening has been shown to reduce lung cancer deaths by as much as 20 percent. Dr. Elicker and the UCSF Department of Radiology recommend regular low-dose CT screening for appropriate candidates – smokers, or those who have quit in the last 15 years, aged 55 to 77 with at least 30 pack-years of smoking history. UCSF Department of Radiology and Biomedical Imaging has cultivated the knowledge, skills, and highly focused talents of an extraordinary team of clinicians, researchers, and teachers. Each doctor is a seasoned expert, thoughtful scientist, and caring professional – as well as a specialist in multiple fields of innovative medical practices. 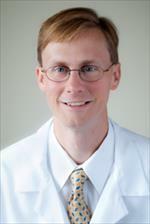 Meet Dr. Elicker and the other members of the team on the Our Calling page. Originally posted at UCSF here.